Calliste.me is an official site for Jerry Calliste Jr. (TW: @CALLISTE and @OFFICIAL_HASHIM) a serial startup entrepreneur, lateral thinker, C-level executive, and angel investor. Calliste Jr. has over 35 years of experience as a media and entertainment company startup entrepreneur, business executive, strategic business consultant. As a C-Level executive, Calliste Jr. excels as an executive manager of operation’s, creating processes, strategic partnering of companies with top brands and securing strategic partners for both domestic and international companies, and securing licensing and sponsorship deals. Mr. Calliste Jr. Columbus, Ohio 2012. Calliste Jr. is a popular and globally recognized independent music label founder and co-founder, living legend recording artist, music publisher, songwriter and independent promoter. 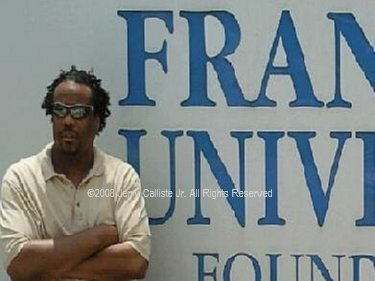 Calliste Jr. a 2x RIAA gold award recipient, sold over 5 million units earning over $25 million in global sales and as a director of events management and promoter grew venue sales approximately 350%. Today you find Calliste Jr. developing and project managing new custom SaaS/PaaS and streaming media software ventures. Calliste Jr. consults startup entrepreneurs, small business owners and entertainers with business planning and strategic business development. He also consults performing artists and songwriters, to learn the ins and outs of the music business and become music publishers in their own right to secure their copyrights, intellectual property rights and business assets. Calliste Jr. is truly a innovator and pioneer in the recorded music business. At a time when most songwriters, producers and artists were not getting their fair share of music revenue and still don’t to this day. Calliste Jr., in 1983, at 17 years old and for many years after, is co-founder of Cutting Records Inc. and co-owner who owned 33.33% of the label. Calliste Jr. served as Cutting Records Vice President and co-managed the day-to-day label and music publishing operations respectively. 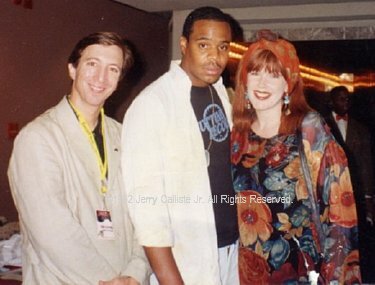 During the first five years of launching Cutting Records, Calliste Jr.’s executive and management responsibilities included developing Artist Repertoire (A&R) which is locating, signing and developing new talent, drafting and negotiating company contracts with artists, managers, attorney’s and international music publishers and record label owners. Calliste Jr. also took charge of national retail and national radio promotions and club promotions – gaining the store reports to, in turn gain airplay and “chart” Cutting Records artists. For over 35 years Cutting Records went on to sell millions and millions of units and produce many R.I.A.A. gold and platinum awards winning artists, including two Grammy nominated artists, one of whom was nominated for a Grammy two times. Entrepreneur, music label executive, music publisher and living legend recording artist Hashim. 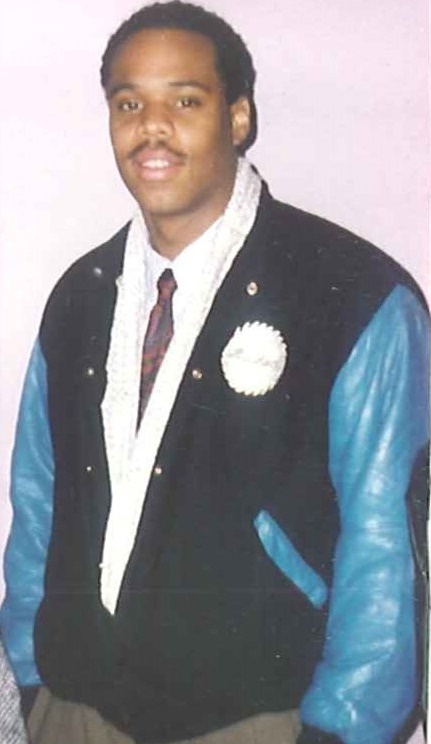 Mr. Jerry Calliste Jr., 23, sporting his indie label Cutting Records jacket and GQ style fashion (circa NYC, 1988). In early 1984, Calliste Jr. officially founded Hashim Music, a music publisher member of ASCAP since 1985, and owned 100% of the songwriter’s copyright and 100% of the music publisher copyright to all of his songs. Who does that at 17 years old? Calliste Jr. did. Fast forward to present day music industry and Calliste Jr. still receives his publishing/ songwriting and artist royalties. Since 2015, just within the past 10 years, Calliste Jr.’s music appears on major labels and studios such as Universal Music (U.K. + The Netherlands), Universal Music TV (U.K.), Universal Pictures (U.S.A.), EA Sports (U.S.A., CAN), HBO (U.S.A.), Rockstar Games (U.S.A.), ActivisionBlizzard (U.S.A.), Native Instruments (GER), Sony Computer Entertainment of America (U.S.A.), Red Bull Music Academy (U.S.A., AUT), Def Jam Records (U.S.A.), Virgin Records (U.K.), Ministry of Sound (U.K.), Global Underground (U.K.), Kontor (GER) and many, many others See: Calliste Jr.’s Discography for an official and accurate listing of productions and licensing deals). Since 1983, Calliste Jr.’s music is licensed on 150+ “Best of”, “Definitive”, “Classic” music compilations, video games, T.V. commercials and movies such as Activision Blizzards Call of Duty “Infinite Warfare”, Universal Pictures, “Straight Outta Compton”, HBO’s series “Ballers”, Red Bull Music Academy (RBMA), DefJam Records 30th Year Anniversary releases, Universal Music TV (U.K.), Universal Music (U.K.) and many, many more companies in more countries. Calliste Jr,’s music is licensed by the likes of music producers, music legends and the world’s top DJ’s such as Rick Rubin, Dr. Dre, DJ Qbert, Diplo, Carl Cox, David Guetta, Cash Money, Scratch Perverts, Ferry Corsten, Johnny Vicious, Dave Clarke, Scott Henry, Frankie Bones and many, many more top DJ’s and producers worldwide. Calliste Jr.’s music appears on Native Instruments Traktor Scratch Pro II (DJ gear + commercial), Rockstar Games Grand Theft Auto: Vice City (game track + commerical), ActivisionBlizard’s DJ Hero: Renegade Edition, EA Sports FIFA 13 + more. As an independent promoter he worked with major labels EastWest Records and Mercury Records. He received 2 RIAA Gold certified awards for selling over 500,000 units each on two different releases. Today, Calliste Jr.’s active ventures include Simplestream.us originally founded and launched in Columbus, Ohio U.S.A. in ’09 and now operates under Simplestream Inc. and headquartered in New York City. Calliste Communications (Callistecomm.com) founded in ’05, Bassmint Music Inc. founded in ’01, Massimo Investment Association, LTD. (Massimoinvest.com) founded in ’95 and Hashim Music (Hashimmusic.com) founded in ’84. A few of his past major ventures include but are not limited to, Cutting Records Inc. co-founded in ’83 in New York City, Precise Records/ Precise Entertainment Group, Ltd. founded in ’88 in New York City. Mr. Calliste Jr., 40, hot and dried out from the Summer heat. At Franklin University (circa 2006, Columbus, Ohio). – Studied ASc. in Information Technology and dual majors BSc. in Information Technology & BSc. in Management Information Sciences at The Ross School of Management & Leadership at Franklin University (’06, ’08 -’10) and maintained a 3.75 GPA. – Attended John F. Kennedy High School in Bronx, N.Y. and a short stint at Brandeis High School in Manhattan, N.Y. At J.F.K. H.S. Calliste Jr. participated in CMSP an IBM sponsored comprehensive advanced math and science program. Calliste Jr. passed the Archdiocese’s citywide test and Fordham Preparatory’s entry test and was headed to the prestigious Fordham Preparatory High School in Bronx, N.Y. before his parents decided on John F. Kennedy H.S. – Attended St. Judes Catholic School in North Manhattan (204th St.) for middle school. – Invited by a New York City attorney and worked on then Senator Hillary R. Clinton’s, “Primary for President of USA” finance committee (’07-’08). – Partnered Bassmint Music Inc.’s non-profit initiative with NBA’s Cleveland Cavaliers Community Relations department. An internship student from The Ohio State University, under Calliste Jr.’s mentorship and supervision, sealed the deal with Cleveland Cavalier’s (’02, ’03, ’04). – Worked with Mr. Arthur Bushkin on grassroots promotions for Fairfax, VA. based non-profit Stargazer.org “Harness the Power of the Internet”. – Hosted V.I.P. b-day bash for The Duchess of York Sarah Ferguson (’00) and a Columbus Monthly magazine for the “Single’s Life” magazine release party promoted by Calliste Jr.
– Worked on then President of City Council Michael Coleman’s Campaign for Mayor of Columbus, OH. (’99) grassroots promotions on university campuses throughout the Columbus metro area. Mr. Coleman is still Mayor of the City of Columbus having served several terms. – Worked in crisis management and adaptive behavior with kids 6 – 13 yrs old for over 4 years in Ohio and Florida (’93-’96 & ’99 respectively). – Organized and promoted his first international event and featured 8 artists from three countries in Brixton London, England at the legendary Brixton Clubhouse (’13). – Invited to speak at Winter Music Conference on two panels. Copyrights, Co-writes and Publishing (2x’s) and D.I.Y. Marketing (1x). (’04, ’05). – Secured sponsor deals and nightclub partners for Bassmint Music with top brands Corona Extra, Finlandia, Jack Daniels, Guess?, FTV.com, Columbus Monthly, Charles Penzone, Max The Salon, aLive, Nationwide Arena and M at Miranova. – Created curriculum for two collegiate internships, Media & Public Relations and Marketing Assistant positions where Calliste Jr. supervised 30+ students from 12 universities; The Ohio State U., Ohio U., Capital U., Ohio Wesleyan U., Otterbein College, University of Miami (FL), Tampa U. (FL), Hartford University (CT) and others + one international university, Vytautas Magnus University located in Lithuania. (’03 – ’07). – Launched Bassmint Music Inc. and signed, released and distributed 15 artists. Including but limited to Spain’s Horthy, Italy’s DJ Jay-X, Lek Fong and others. Other artists hail from U.S.A., Canada, U.K., and Macedonia (’01 – ’06). In 1982, Calliste Jr., 16 launched his Entrepreneurial career when he successfully promoted a Hip Hop event in North Manhattan before Hip Hop was released on vinyl. After the event, a young man by the name of Harold McGuire p.k.a. DJ Whiz Kid of the legendary DJ Kool Herc camp and Calliste Jr. formed a good friendship. DJ Whiz Kid convinced Calliste Jr. to take his janitorial job at Tommy Boy Records. Whiz Kid would soon release “Play That Beat Mr. DJ” by Whiz Kid and G.L.O.B.E. on Tommy Boy Records. After, Calliste Jr. got his start at Tommy Boy, he co-founded the 34+ years old, popular Hip-hop, Dance & Latin music label Cutting Records with two partners Amado Marin and Aldo Marin. 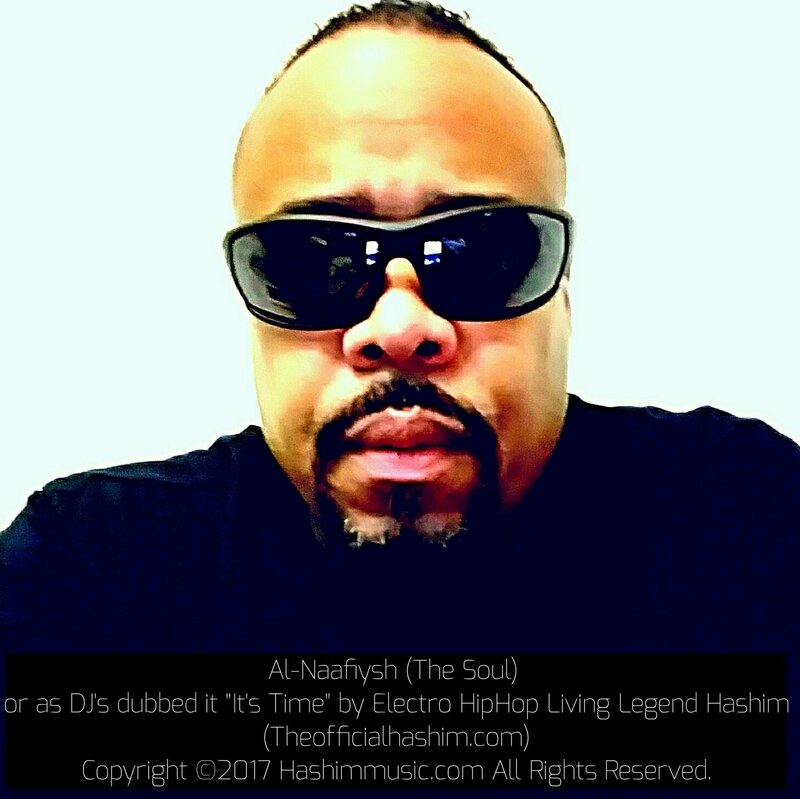 While development was underway, Calliste Jr. or Hashim wrote and co-produced argurably the world’s most influential seminal and now classic Electro Hip Hop song “Al-Naafiysh (The Soul)” or as most DJ’s have dubbed it, “It’s Time” due to the B-Side introduction on the 12″. Calliste Jr.’s, “Al-Naafiysh (The Soul)” went on to collectively sell over 2.5 million copies worldwide and more importantly influenced the HipHop world, DJ’s to become songwriters and producers and even the breakdance and popper cultural movement over three decades. He wrote and produced several more influential Electro HipHop tracks including but not limited to, “We’re Rockin The Planet”, “Chateau Vie”, “Primrose Path” and several songs released on other labels such as Bassmint Music, Precise Records, Tommy Boy, and C.C.L. Records. Unauthorized and unlicensed use of any portion of this website will be prosecuted to the full extent of the law. See Legal Notice below for details. Copyright ©2016 – 2017 Hashim Music, Massimo Investment Association, LTD. All Rights Reserved.